It is recommended to use a heavy duty fishing swivel to hang spinner (not included). Note: Color discrepancies may occur between this product and your computer screen. Sun Spinner - $26.40 (in store)With Aztec inspiration the spirit of this sun shines its loving grace upon your space- radiating its good vibes from the spinning action. 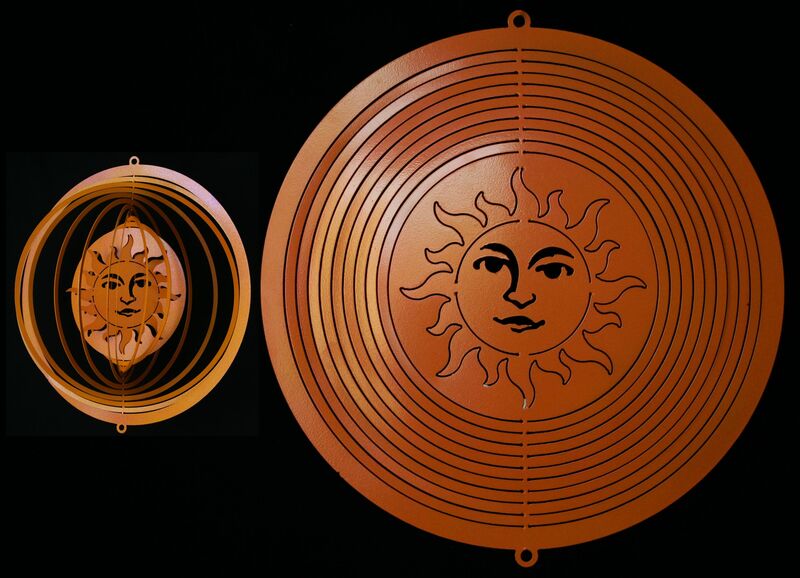 The 3-dimensional action of the piece surrounded by eye-catching multi-layered circle rings easily caught by the wind brings artful dynamic beauty and grace to your space. It is coated with a durable powder coating in Orange Burst, an organic carrot orange accented with red speckles and sprinkled with brilliant metallic fleck. Opens easily - once open it is best to not close it. 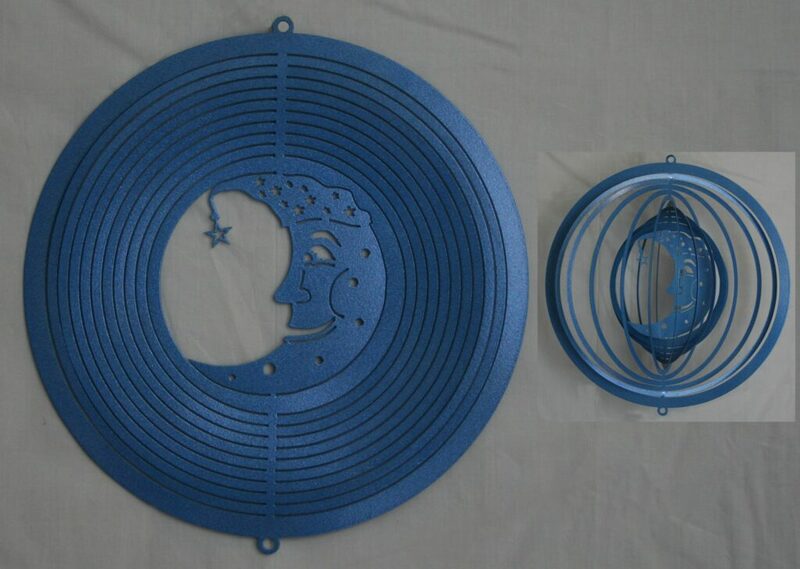 Moon Spinner - $26.40 (in store)Add a touch of celestial charm with this moon in a stocking cap. The 3-dimensional action of the piece surrounded by eye-catching multi-layered circle rings easily caught by the wind brings artful dynamic beauty and grace to your space. 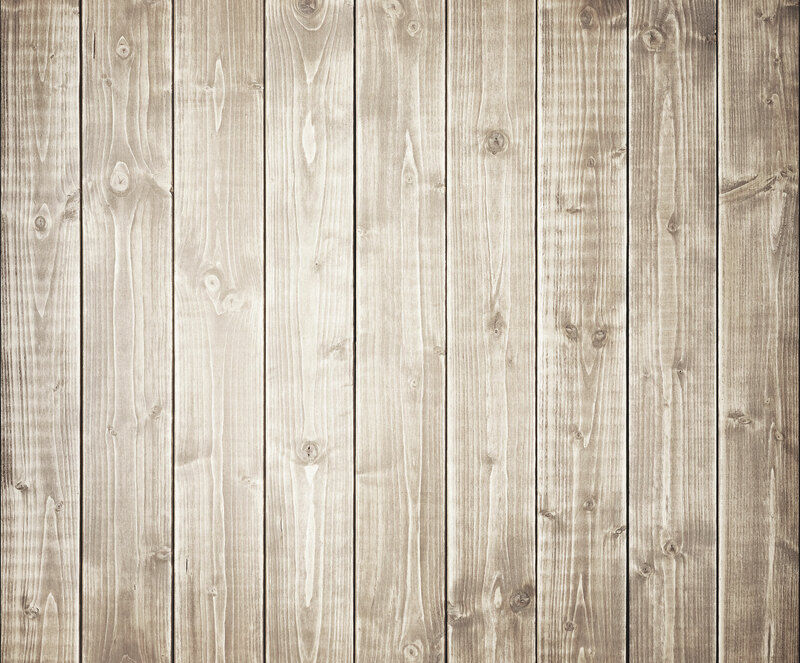 It is coated in a beautiful Blue Silver Vein, a delightful medium blue with silver undertones with a lightly textured, semi-gloss finish. Opens easily - once open it is best to not close it. 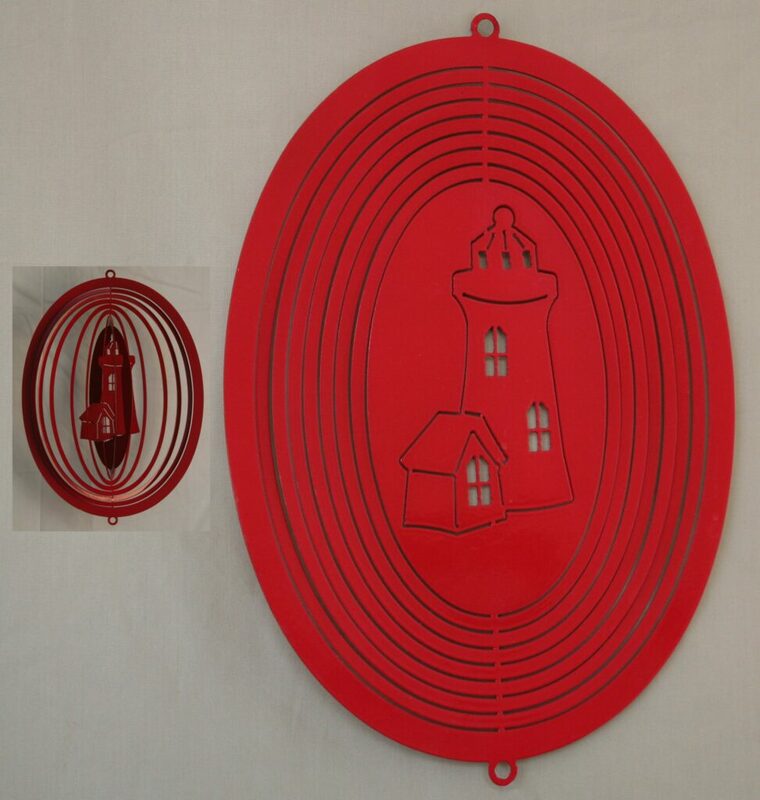 Lighthouse Spinner - $26.40 (in store)The simplistic lines of this quaint lighthouse echo the traditional color of light houses. Just as their beams rotate across a rocky shore, this piece mimics the rotation as it is caught in the wind. The 3-dimensional action of the words surrounded by eye-catching multi-layered circle rings easily caught by the wind brings artful dynamic beauty and grace to your space. It is finished with a durable deep-toned Red semi-gloss powder coating. This piece ships flat and comes with a set of simple instructions.